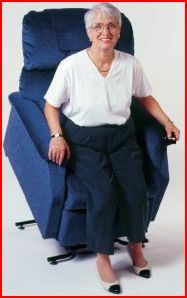 A lift chair is a recliner that is machine powered. 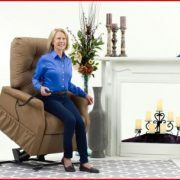 One can switch from the sitting to recline position (or other positions) with a remote control. 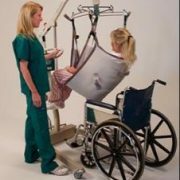 It also has an up position where the chair leans up and forward to push the sitter into the standing position. 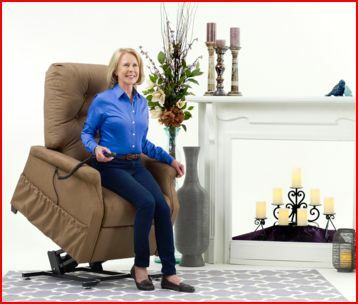 This is where the lift chair derives its name, for it lifts the sitter up. 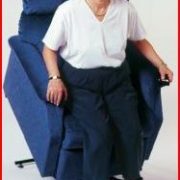 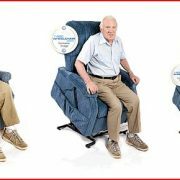 Lift chairs are intended for individuals who find it difficult to stand up from a chair such as those with severe arthritis in the knees or hips.